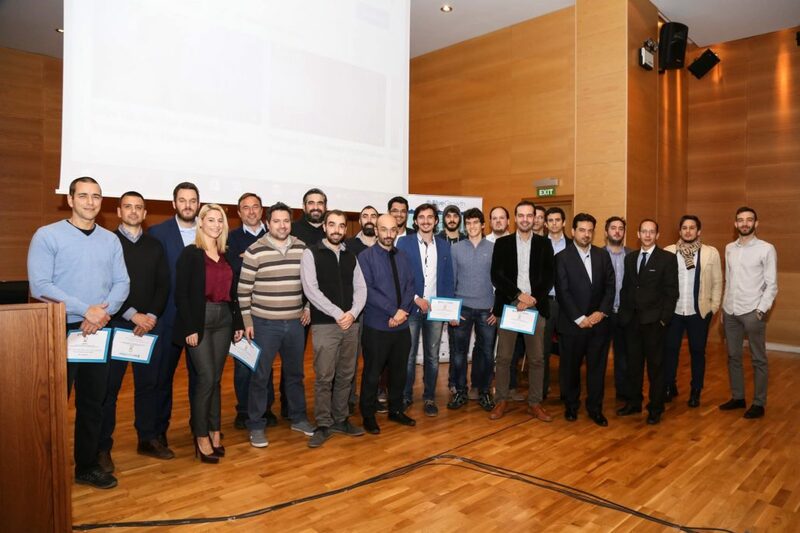 Inspiration and innovation were the focus of the 3rd BlueGrowth startup competition held at Piraeus University of Applied Sciences Conference Center on Wednesday, bringing to the fore young entrepreneurs and their concepts and business models which aim to have a positive impact on the country’s marine and freshwater resources. The first prize of the 3rd BlueGrowth challenge went to…Openichnos! Openichnos is an energy autonomous global tracking and monitoring device accompanied with a cloud dashboard. Our mission is to offer an efficient global tracking and sensor-based monitoring (IoT) solution for the yacht recreational market. The second prize went to Enaleia. Enaleia is the first marketplace for the fishing sector. It trains and connects unemployed people with employers from the fishing industry, currently in Greece and now focusing on expanding in Europe. In this way, the European fishermen employees can recruit faster, better and more trained employees, and the unemployed people can find high-paying jobs, that does not require a university degree. We are focusing on having 5000 fishing ships and 7000 unemployed people in our platform in the next 5 years. We are paid as a typical recruitment service. Each employer pays us per matching an amount of money equal to the first salary of the employee, and the employee pays us 50% of his first salary. Enaleia is supported by Clinton Global Initiative and Entrepreneurs Organisation ( EO). Aspida HSSE is a pioneer organization offering advanced Information Security Services [Risk Assessment, Vulnerability, Assessment, Penetration Testing, SIEM (Security Incident & Event Management)], with expertise on Maritime Sector. A cutting-edge innovative solution of Aspida HSSE is the VSIEM (Vessel Security Incident & Event Management) platform that assists many Maritime organizations to defend against advanced cyber security threats. We are currently developing an additional module which will be responsible for Industrial Control Systems monitoring and it will expand VSIEM’s platform capabilities. And e-marina came in fourth for their idea of creating a manual with all the information about the marinas. BI matters provides Intelligent Ecosystem Services. It is based on the business intelligence framework to store and process biodiversity data associated with the marine and coastal environment. The goal of marine BI matters is to allow the easy interpretation of environmental big data, identify new opportunities and implementing an effective strategy based on insights can provide businesses-organization with a competitive advantage and long-term stability. BI matters ecosystem services calculate the economic value of the environment, improves your CSR and provides thematic touristic routes. “We Dive we Clean” is an action of volunteer divers with the main objective of cleaning the seabed from debris. For the first time in Greece, our team is innovating and undertakes the complete cleaning of the seabed regardless its condition. Through these activities, we aim to raise the residents’ and visitors’ environmental awareness to avoid ruining the aesthetic and natural beauties of our coastline. Sail in Greece is a company that specializes in cruise ships with small sailing boats (small ship cruising), in our second season of operations. Our aim is to develop this product in the Greek market, where it is almost non-existent. FEAC Engineering is a leading provider of solutions in Simulation Driven Engineering. With the use of Advanced Computer Aided Engineering tools (CAE) and Optimization Techniques, we achieve the substantial reduction of cost, time and risk. Unlike other companies, we conduct both FEM & BEM to offer fast, efficient and high-accurate results to our partners and clients. Our experienced world-class team has developed unique solutions in a wide range of sectors by optimizing products, systems, entities, phenomenon and processes under real-world conditions. Instayacht is a mobile app and a platform which connects travelers with boat-owners, for instantly or longer term available boats’ rental (cruises and transfer services), under high-level standards for a unique and amazing experience. Fixguard is a rating platform of Cargo Owners credibility in the dry bulk Shipping market. Ship Owners & Brokers must make quick decisions under time-critical conditions whether to deal with a Cargo Owner or not. Due to such time pressure and lack of readily available information about such companies they end up making risky deals and suffer heavy losses of time and money. Fixguard’s innovative method automates, now manual, the procedure of cross-checking the Cargo Owners performance history. Now Ship Owners can take an instant, informed decisions and minimize their risks, Chartering Brokers can save time and protect their reputation and Cargo Owners can showcase their credibility to the market.